The San Diego Unified School District is developing quality schools in every neighborhood and implementing quality instructional programs that prepare students for civic and global engagement. 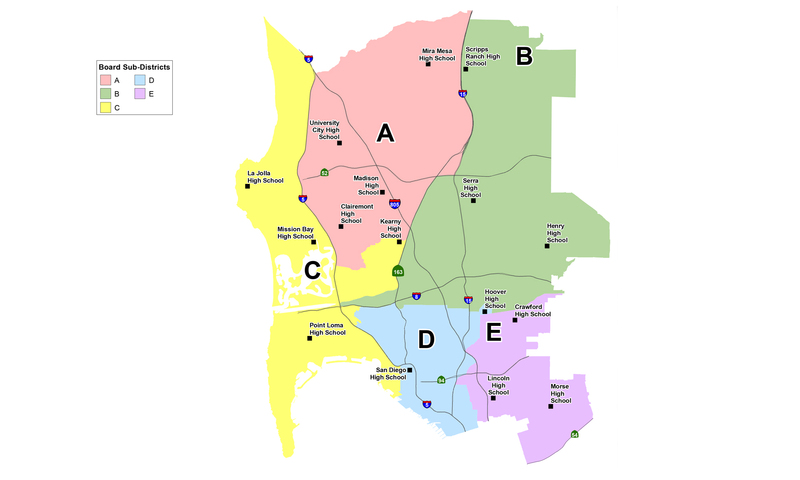 The San Diego Unified School District serves more than 130,000 students in pre-school through grade 12 and is the second largest school district in California and the eighth largest city in the United States. The district has 14,000 employees, 6,000 teachers, 200 schools, and an annual budget of $1.3 billion. The student population is extremely diverse, representing more than 15 ethnic groups and more than 60 languages and dialects. The San Diego Unified School District is proud to call itself one of the top large urban school districts in the United States. Measures include top scores on state and national tests, and leadership in areas such as academic excellence, technology, the arts, and student health. Graduates include Hall of Fame sports stars, along with some of the nation’s top scientists, singers, actors, writers, and civic/business leaders.